Have you ever wanted an opportunity to act in a film? Well here is your chance. 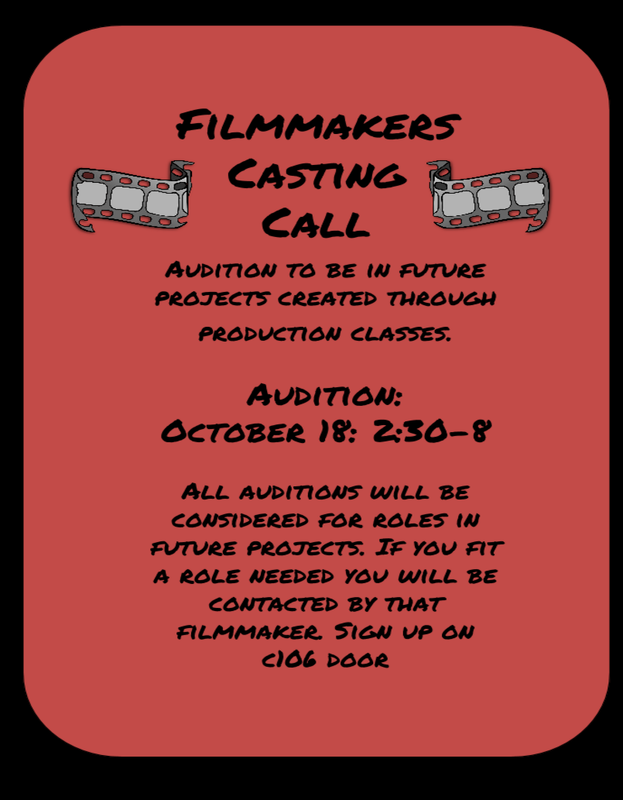 The advanced media production classes are looking for a variety of actors and actresses to perform in various student projects. Tryouts begin next Tuesday after school. Sign up for an audition time outside the C106 door.